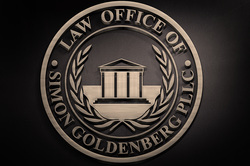 The Law Office of Simon Goldenberg PLLC is a debt relief law firm based in Brooklyn, New York. Additional offices are located in Manhattan and on Long Island. Our Lawyers will listen to you to learn about your unique situation and will help you develop a road map to identify your options. We will always work to get you the best results. Our attorneys will help analyze your financial situation and determine which options may be available (ie. Debt Settlement, Bankruptcy, Debt Defense Litigation, etc...). Our professional staff with give you the guidance and support you need to succeed. Have you received a Summons, Complaint, or a letter from a debt collection law firm? Creditors can sue in order to collect on a debt.We can defend you in your credit card lawsuit, private student loan lawsuit, and in any other debt collection action. Time is of the essence when a lawsuit is initiated. A Defendant must respond in a timely fashion, otherwise the Plaintiff may move the Court for a DEFAULT JUDGMENT. Once a default judgment is entered, the Creditor may then be able to execute the judgment by garnishing your paycheck or freezing funds in your bank account. Take prompt action. Call a trusted local NY debt attorney for help. As debt resolution attorneys, the Firm has engaged in communication with hundreds of debt collectors and lawyers working for debt collection agencies and debt collection law firms. Below is a list of some of the common law firms that we encounter in New York. Daniels & Norelli Scully & Cecere, P.C. Judgments? Paycheck Garnished? Bank Account Frozen? It may not be too late to resolve your debt and have your accounts released. Certain funds may be exempt from garnishment and from bank levies. If you have legitimate hardship and a reasonable ability to repay, we may be able to help settle your New York Judgment. New York State permits a statutory 9% interest rate on judgments. If a New York City Marshal is involved in the execution of the judgment, there are additional fees such as Marshall's poundage (sometimes 5 %) and other costs. The fees just keep on adding on. A Settlement may reduce the principal, interest and other fees associated with a debt. Each case is unique and results will vary. Our debt settlement attorneys will fight to get you the best possible deal. With debt settlement, a creditor oftentimes agrees to lower the outstanding debt of an eligible account by 30% or more, so you can pay off your debt. We have successfully negotiated with virtually all of the large creditors and student loan lenders. We will use our vast experience negotiating with creditors to achieve the lowest possible settlement on your behalf. Debt settlement is sometimes referred to as debt negotiation or debt arbitration, and also debt consolidation. It can be a strong alternative to bankruptcy depending on your particular circumstances. A debt settlement plan is a comprehensive financial and strategic plan to eliminate your existing debt through proper financial management and through the settlement of your debt at reduced amounts. Debt settlement is a low-cost approach to unsecured debt management and elimination. Our debt settlement services include, but are not limited to a negotiations with your creditors to settle your debts for amounts significantly less than what you currently owe. Our debt settlement services typically result in a reduction of your principal balances. You May Be Able To Avoid Bankruptcy! Bankruptcy will stay on your credit report for up to 10 years. By avoiding Bankruptcy, your credit rating is protected from bankruptcy and your debt may be significantly reduced. Debt settlement makes you debt free without having to suffer the longer-term financial, emotional effects of bankruptcy. It is important to keep in mind that Chapter 7 or Chapter 13 consumer bankruptcy can be a beneficial option depending on your particular needs and circumstances. Our office will help you determine which options are available to you so that you can may a well informed decision on how to eliminate your debt. Our debt lawyers handle bankruptcy filing in the Southern and Eastern Districts of New York. Although debt settlement may adversely effect ones credit, the debt will not appear as a public record so long as a lawsuit is not filed. Debt collection lawyers can bring a lawsuit to collect on your credit card or student loan debt based on Breach of Contract, Accounts Stated, Unjust Enrichment and other causes of action in New York courts. Default judgments may result in wage garnishment, bank restraint, and/or liens. Interest continues to accrue on judgments. Don't go down without a fight! Our attorneys defend consumers in debt collection lawsuits and can help you get the best results available under your circumstances. Mel S Harris, Forster & Garbus, Rubin & Rothman, Kristen Mantyla of Portfolio Recovery Associates, Sharinn and Lipshie, Kirschenbaum & Phillips, P.C., Solomon and Solomon, P.C, Goldman & Warshaw, P.C., Malen & Associates, Eltman Eltman and Cooper, Eric M. Berman, P.C., Mullooly, Jeffrey, Roony & Flynn, Stephen Einstein & Associates, P.C., Panteris & Panteris, LLP, Zwicker and Associates, Relin, Goldstein & Crane, Woods Oviatt Gilman, Leschack & Grodesnky, Hayt Hayt & Landau, Pressler & Pressler, Jaffe & Asher, Mullen & Iannarone, Arnold A. Arpino & Associates, Houslanger & Associates, LLC, Smith Carroad Levy & Finkel, Forster & Garbus; Kirschenbaum Phillips Roach, P.C. ; Mann Bracken, LLC; Eric Ostrager; Cohen & Slamowitz, LLP; Cullen and Dykman LLP;Sherman Acquisitions, Sherman Financial Group, Alegis, NCO Group, Portfolio Recovery Assoc., Asta Funding, Encore Capital Group, Midland Credit, Allied National, Interstate Risk Management Alternatives, RMA, JBC & Associates, Arrow Fin. Svcs., RJM Acquisitions, CAMCO (Capital Acquisitions & Mgmt Co), Excalibur, Cavalry Portfolio Services, Unifund Group, Phoenix Asset Acceptance, First Select Corporation, Providian, Oliphant Financial Corp., Mel S. Harris, Midland Funding, GE Money Bank, , Portfolio Recovery, Asset Acceptance, LR Credit, L.R. Credit, Capital One Bank, Palisades Collections, Palisades Collections, Portfolio Recoveries, LVNV Funding, Wolpolf & Abramson, American Express, Discover Card, HSBC, Household Bank, Discover Bank, Citibank, American Honda Finance, MBNA, Beneficial Finance, American Express, Chase Manhattan Bank, and JPMorgan Chase. We have 3 offices conveniently located in and around New York City. We serve all boroughs of New York City: Brooklyn, Queens, Bronx, Staten Island, Manhattan. We also serve Long Island: Nassau & Suffolk Counties. Additionally, our lawyers provide legal services in Westchester and Upstate NY. However, our Bankruptcy practice is limited to the Southern and Eastern Districts of New York. Contact us to learn more. Is debt settlement good for you? If you are unable to get keep up with minimum payments and the tremendous burden of high interest, debt settlement can help you eliminate that debt by creating a savings plan and working with your creditors to accept a payment for a reduce amount. This is a service for people experiencing financial hardship for a variety of reasons including, but not limited to, diminished income due to the recession, an injury, or the loss of a loved one. You can also use debt settlement if a creditor has threatened to file a lawsuit against you for not making payments. Creditors will sometimes sell off the debt accounts to collection agencies. Collection agencies will sometimes harass and bother debtors and use abusive language when they recover debts. If the creditor wants to sell your debt account to a collection agency, it will be a wise to choose debt settlement to assist you in resolution of the account. Figure out how much debt you have. Check your credit card statements and add the outstanding balances. Do you qualify for debt settlement? Our debt settlement services are available to people who owe more than $5,000. Do you have the money for debt settlement? You need to be able to fund a reasonable settlement for the service to be successful. There are several potential downsides to debt settlement, which you should discuss with your debt settlement attorney in further detail. Some examples of the downsides are that the missed payments, charge off, and settlement may be reported on your report as adverse information. The settling of debt is not intended to improve your credit or increase your credit score, it is intended to resolve your debt and result in a zero balance. When you breach your contract to pay a creditor, that creditor may choose to bring a lawsuit against you to collect the amount allegedly due. Also, you may be liable for taxes when an amount of $600 or over is forgiven as part of a settlement. You need to speak to your accountant or tax adviser to discuss your particular exposure to tax liability. Sallie Mae, Access Group, ACS, Chase Student Loans, Discover Student Loans, Citibank Student Loans, National Collegiate Fund Trust, American Education Services, AES, Arrowood Indemnity, SLM Student Loan Trust, and Great Lakes Servicing. Contact our local New York Student Loan Lawyers for help settling and resolving your defaulted private student loan debt. So, what to do when you are in a financial pickle? In order to find the solution that fits your particular needs, you first have to understand the essential differences between debt consolidation and debt settlement. In most instances, a debt consolidation company will originate a new loan to pay off your current debt, leaving you to pay one monthly payment. The interest rate on the new loan is usually less than the rate being charged on your unsecured debt, which achieves a savings in interest. The major disadvantage is that you will still be liable to pay your entire debt amount plus interest. Due to the fact that interest continues to accrue, it can take many years until the new loan is fully paid off. If you fall behind on even one payment, they can raise the interest on the consolidation loan and you may be left in the same situation that you were trying to escape. This also leaves open the possibility of prolonged damage to your credit score. The single biggest benefit of utilizing debt settlement is that the balance that you are required to pay off will be significantly reduced – oftentimes by 30% or more. Participation requires that the client save enough funds to achieve settlement. When comparing Debt Settlement to Debt Consolidation, there is one factor to always keep in mind - consolidation entails repayment of your full debt plus interest, while settlement entails repayment of a reduced amount, with no additional interest outside of the original contract terms. Interested in settling your defaulted credit cards and private student loan debt? Debt Attorneys Ready To Assist! Our law office offers assistance with a variety of options on how to get out of student loan and credit card debts and how to become debt free by utilizing the services of a lawyer based debt relief agency. If you have been served with a lawsuit, a debt collection letter, or other debt collector communication, contact a local brooklyn debt settlement lawyer to help you decide whether Bankruptcy, Debt Settlement, or other debt relief option will be most beneficial. The law firm has multiple attorneys familiar with the nuances of debt relief, including bankruptcy and debt settlement. Our attorneys would be happy to explain the differences between debt consolidation, debt settlement, chapter 7 and chapter 13 bankruptcy in your pursuit of financial freedom. Trust a local New York City Credit Card Debt Lawyer for competent advice and legal representation. Contact our Brooklyn Debt Lawyers if you need information about ways to eliminate your debt such as: Bankruptcy, Debt Management Advice, Consumer Debt Settlement NYC, Private Student Loan Attorney NY, Student Loan Help, New York Student Loan Lawyer, Private Student Loans Debt Consolidation Programs, Credit Card Settlement and Credit Card Lawyer, New York Debt Lawsuit Brooklyn, Private Student Loan Lawsuit New York, Debt Settlement Programs, Debt Collection Law Firms, Best Debt Attorney NY New York, Debt Settlement Lawyer Brooklyn NY, Debt Management Plan, Debt Reduction Management, and Student Loan Debt Settlement NY.